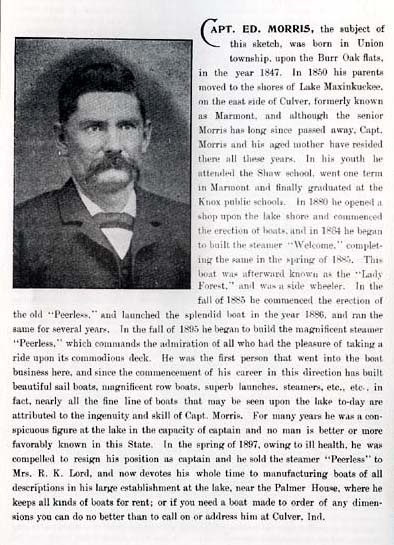 Captain Ed Morris, a local character and boat builder (and proprietor of the Morris Boat Livery on the Lake), who is said to have built over 1000 boats on the lake, including the steamers, the "Peerless" (click here for more) and the "Peerless II." He was well-known for his limp and the captain's cap he wore. His livery opened around 1906 and operated until 1941, when he sold it. More on Capt. 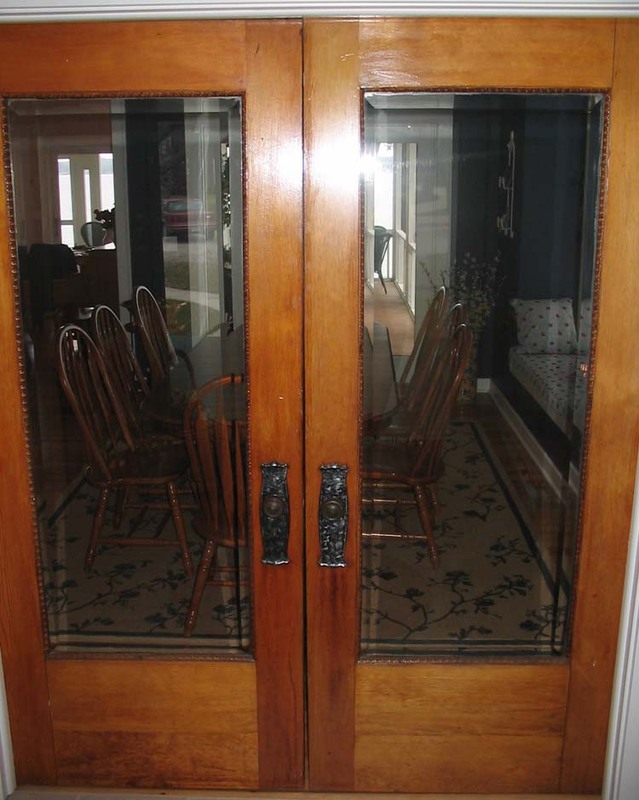 Morris in Mark A. Roeder's account here. "Capt. 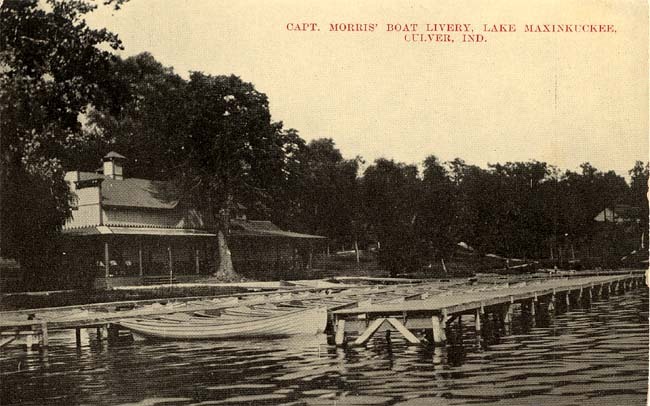 Morris' Boat Livery" on the Lake in 1908. Alternately, varying accounts place it as located near Palmer House Hotel (which became, eventually, the Culver Inn on the Academy campus) or at the east end of Vandalia Park, around the site of the lower playground of today's Town Park. 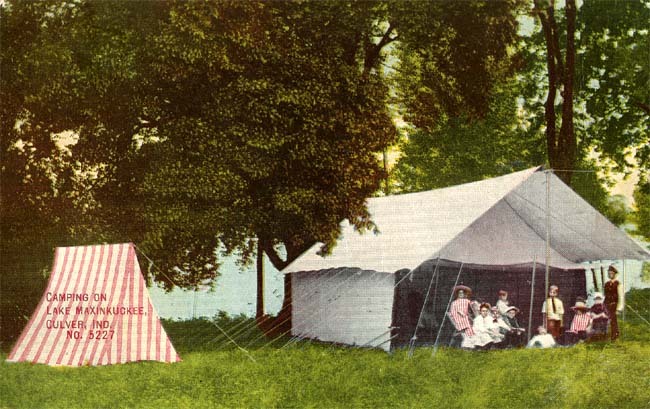 The 1910 colorized postcard below, by the shape of the land, suggests that it was located in the Vandalia Park area. This 1906 postcard depicts Capt. Morris' boathouse and pier. This postcard, with a postmark of 1910, depicts a scene "Near the Boat Livery," presumably Morris' livery as depicted in the previous postcard. Another shot of the Livery. An 1898 article on Capt. Morris from the Culver City Herald's Souvenir edition. 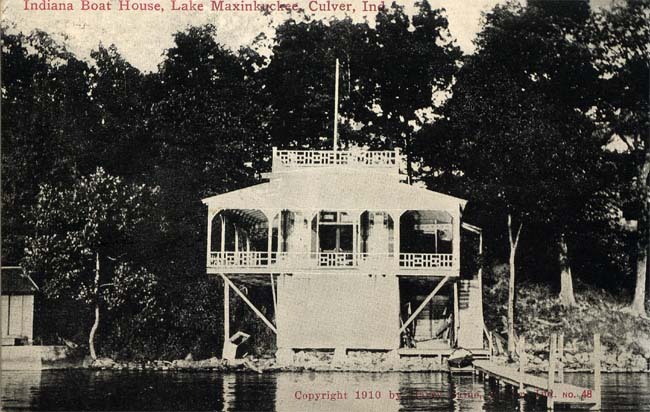 The Walker Boat House, located on West Shore Drive nearly to the south shore of Lake Maxinkuckee, took its name from its co-owner, L.G. 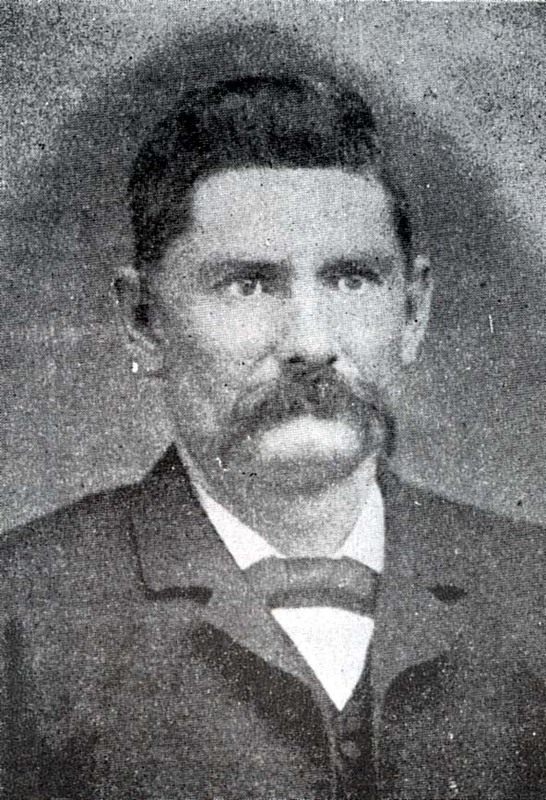 Walker, who moved to Culver from Mentone in 1914, according to his 1914 Fulton County obituary. 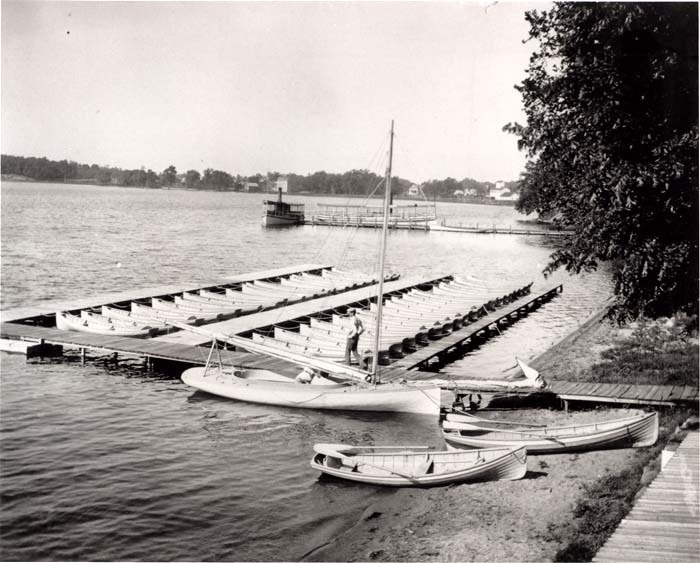 Walker married Ida Rovell, and his son and daughter-in-law, Lloyd and Ora Rovell (Nov. 1, 1866 – Jan. 22, 1970), continued to operate the boathouse after his death in 1949. 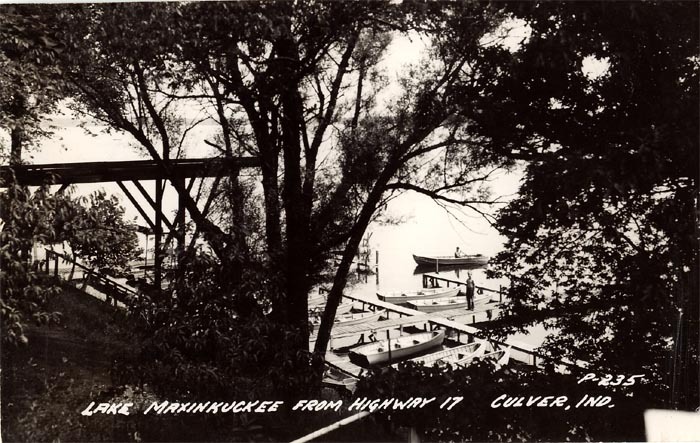 Two nephews of the Rovells, Morris Rinesmith and his cousin, the late Jim Rinesmith, in recent years shared recollections of their days working at the Walker boat house. Morris recalls that his aunt & uncle rented out boats $3 a day to fishermen. 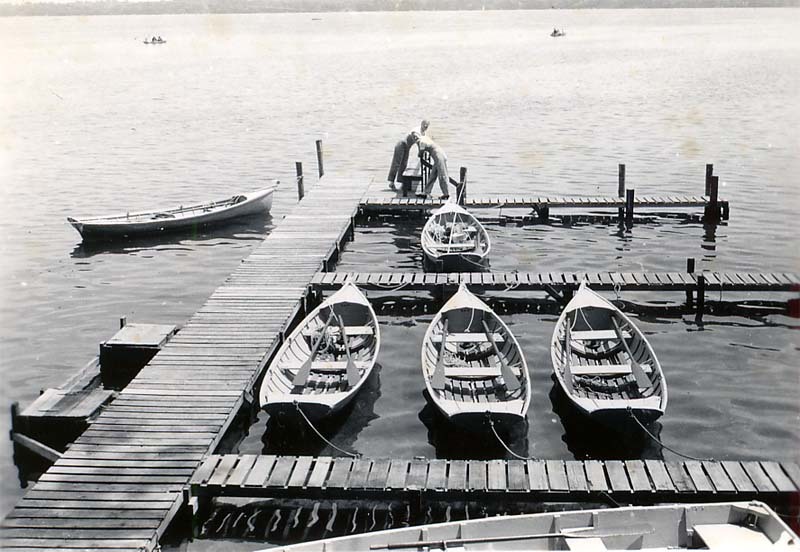 At one time, there were 42 boats docked and available at the boathouse. Morris' Auntie Egan was his other aunt, and she moved to the Culver area from Pennsylvania. 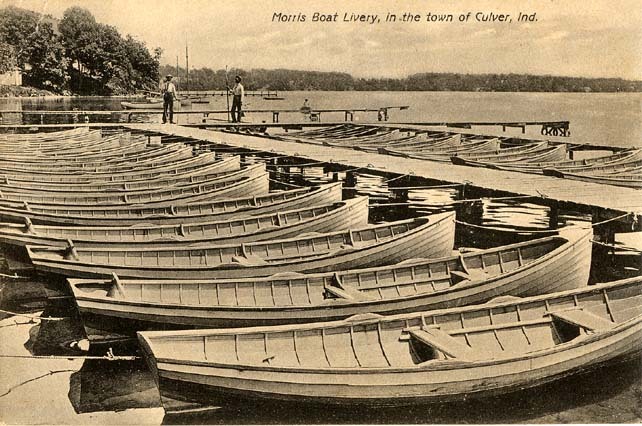 According to Morris, the Rovells & Walkers used to commercial fish in Florida in the winter and return in the spring to Culver to run the boathouse. Morris was there around 1948, his cousin Jim long before that. "It was pretty busy in 1948 – people came from all over the state. $3 you could fish all day long, and bring your own motor if you wanted that. They rented rowboats, though." Morris worked the boat house about 5-6 years and "stayed pretty busy. They were getting up in years and getting down to where they weren’t doing much at all. Jim Rinesmith was retired from the Navy and he ran a grocery store out of his house next door, after there was no more boathouse. 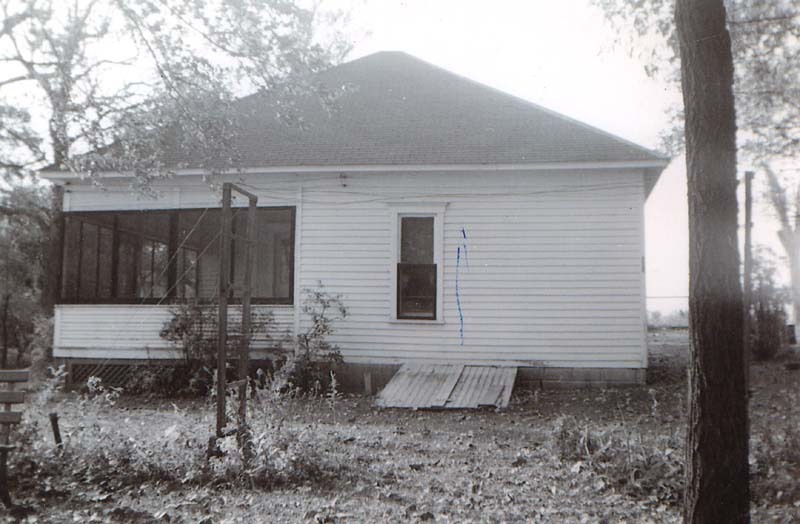 Jim built his aunt Ora a little place across the road where she lived until she passed away. That building has been torn down since then." The original house, seen above, was moved next door in 1908 and the large house, now owned by Ted Schenberg, was built by the Walkers. 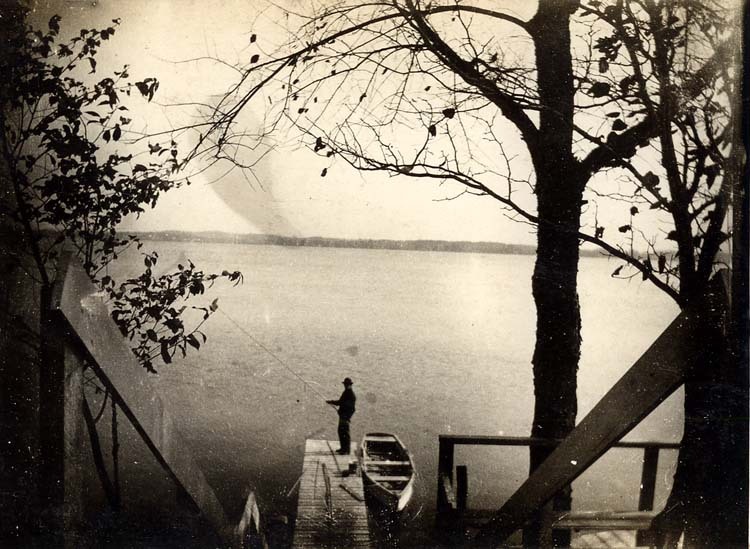 Above: Morris Rinesmith at 13-14 years old is on the pier standing, L.G. Walker in the boat behind him (recalls Morris: "the guy told me to go stand on the pier, he was making postcard!"). There’s a wooden gantry, says Morris, to the left of the big tree "where they pulled boats out of water…it had a hoist." 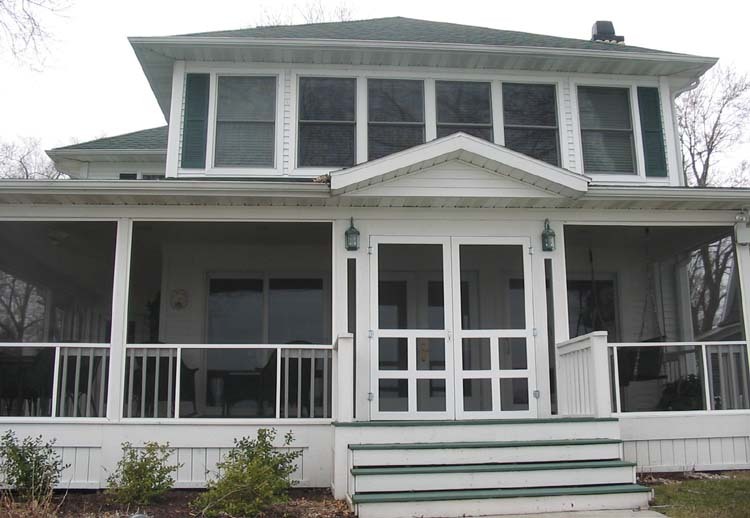 The former Rinesmith Cottage on West Shore drive, a house that once sat one lot east, on the site of what became the Walker Boat House. 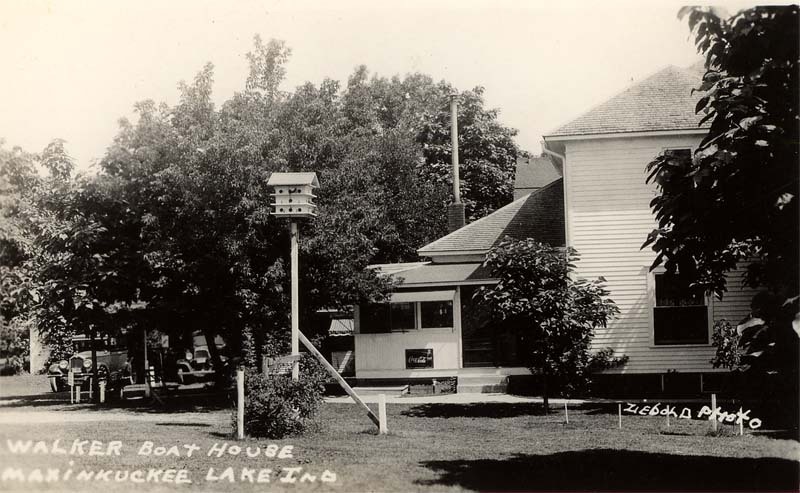 After the boat house shut down, Jim Rinesmith started a small bait and snack shop out of the house above, though this venture only lasted a few years. 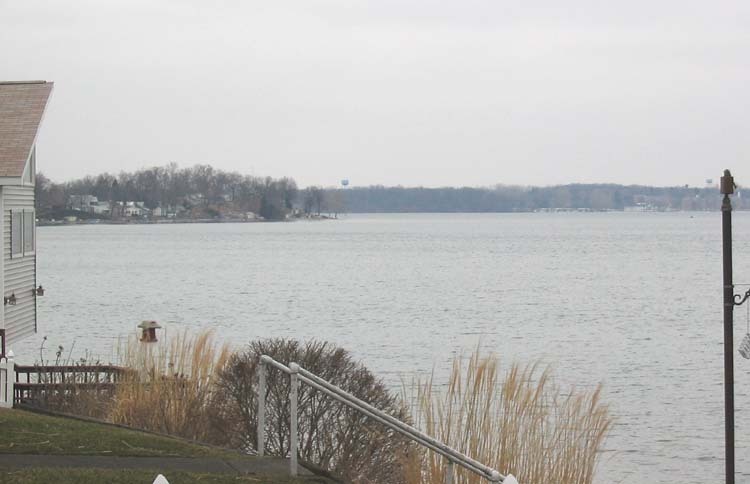 Jim Rinesmith passed away in 2001, shortly after the Culver Citizen ran a feature on his memories of life on the lake. 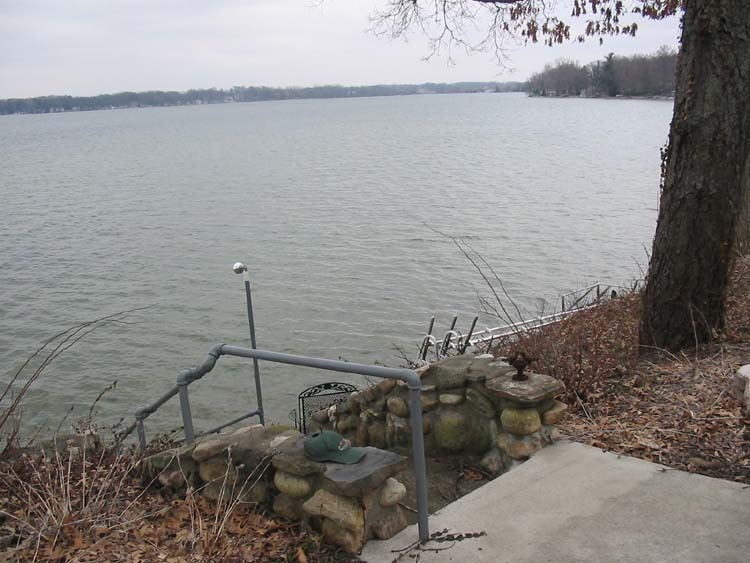 Jim Rinesmith, in an interview in the Culver Citizen before his death, recalled riding the train from Ohio to the Delong station each summer and walking from Delong to the Walker boat house for a summer of work and play. 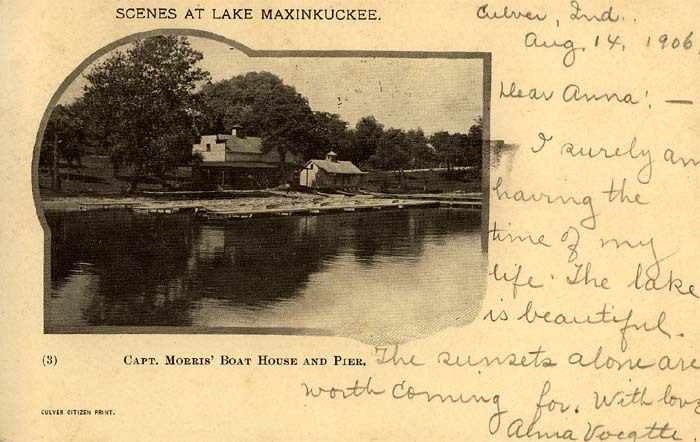 Above: Morris Rinesmith recalls that the Lake Maxinkuckee's (now defunct) campground started next to the Walker boathouse property and went south "quite a ways around the lake." 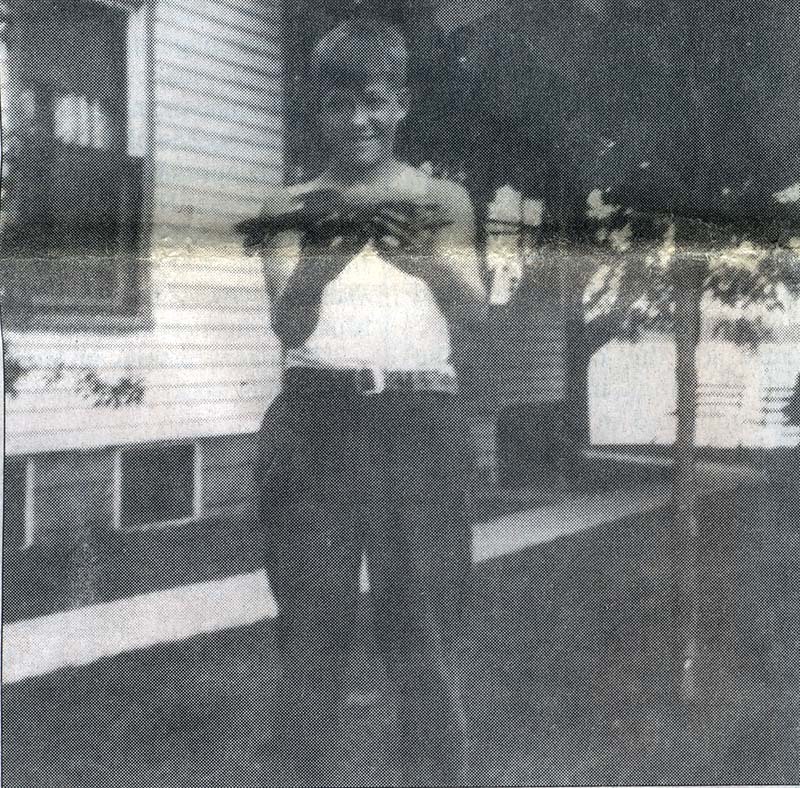 A youthful Jim Rinesmith holds a fish he caught in Lake Maxinkuckee, standing on the west side of the Walker Boat House. 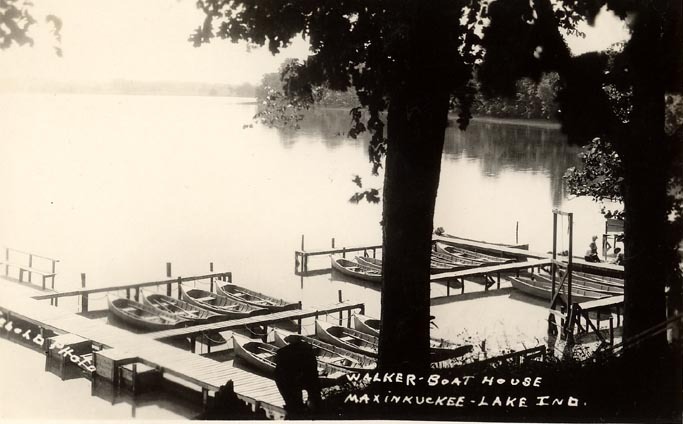 "Walker Boat House," a postcard from the late 1940s-early 1950s. 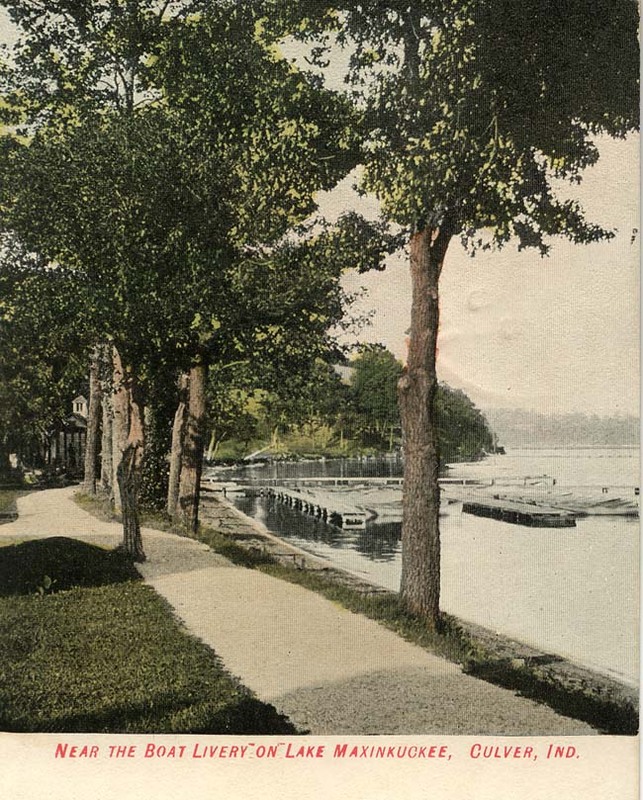 Above: left to right: the boathouse docks with rowboats in tow; a postcard depicting a side view of the "big" boathouse, this one from the 1920s; a present-day view of the back porch of the boat house, which is owned (and was restored) by Ted Schenberg. 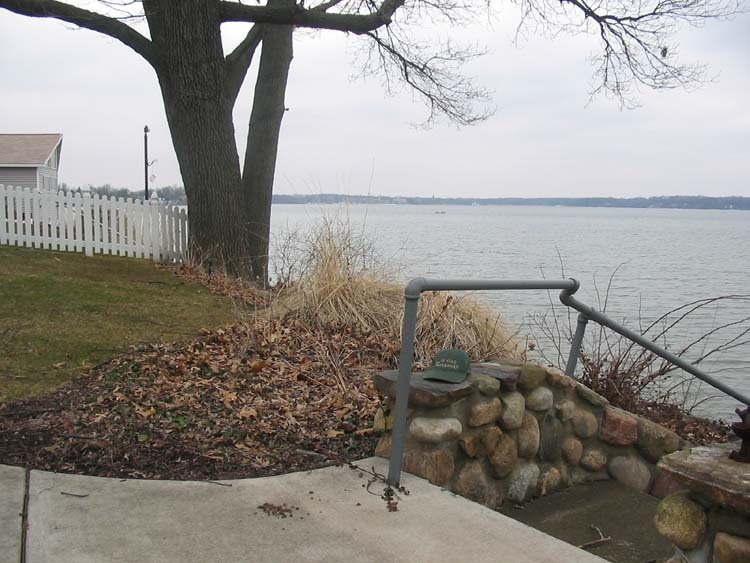 A view from the front door of the Walker boat-house, showing the Vandalia railroad line. This would be facing away from Lake Maxinkuckee towards the west, approximately. 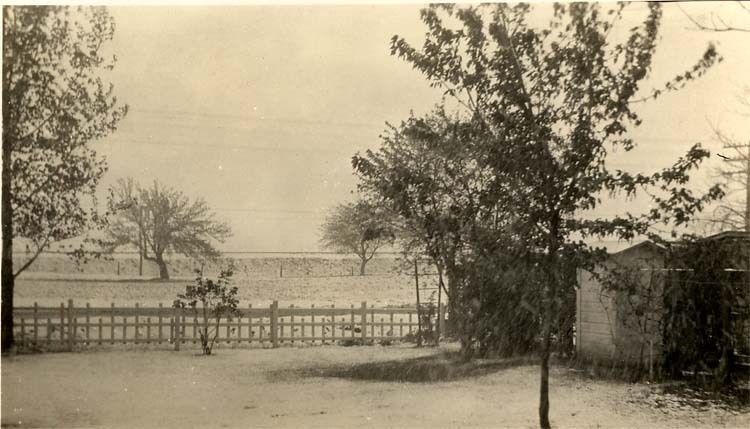 This photo is probably from the 1920s or 1930s, and comes from the Ted Schenberg collection. L. G. WALKER, 82, Culver, a Fulton county native, died at 5:15 p.m. Friday at the R. N. nursing home, Teagarden, Ind., following an illness of two years. Born Sept. 29, 1883 in Richland township, he was the son of Harrison and Lucrecia PHILLIPS WALKER. 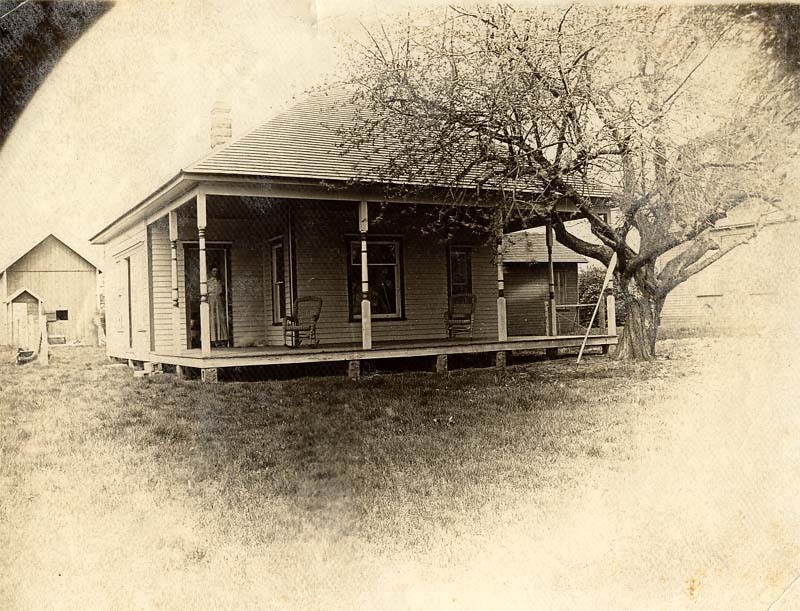 He moved to Culver from Mentone in 1914. 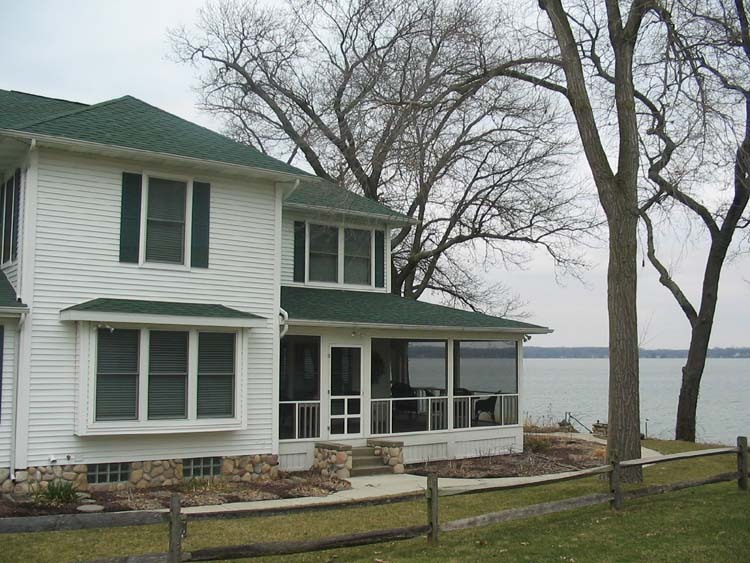 He was co-owner of the Walker boat house on Lake Maxinkuckee for many years. 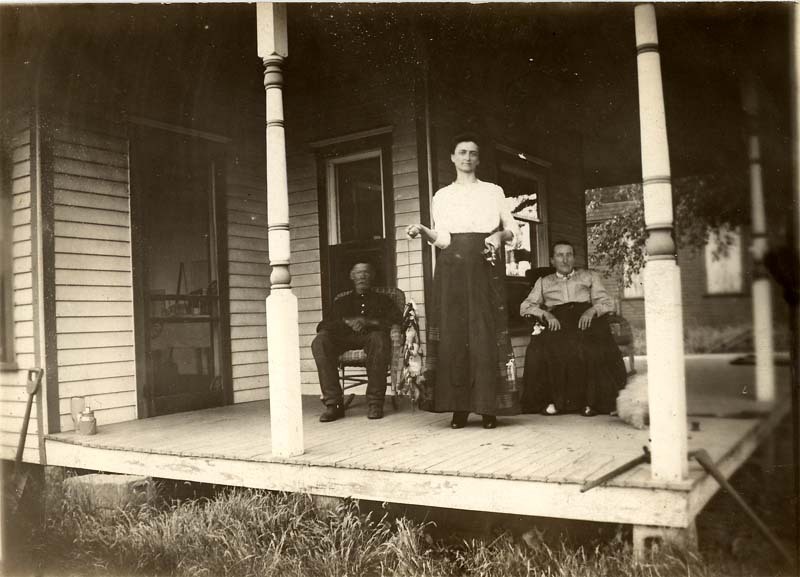 He was married in St. Joseph, Mich., to Ida ROVELL, who died in 1924. He was a member of the Richland Center I.O.O.F. lodge. 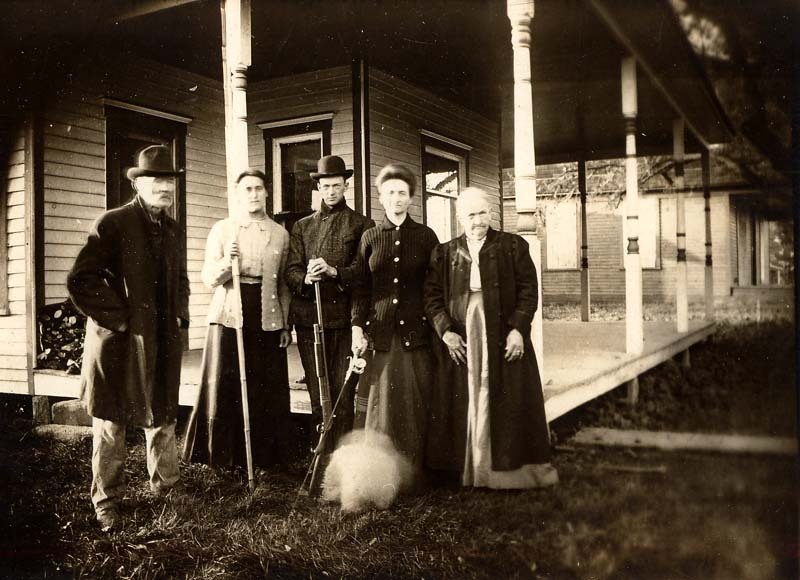 Surviving are a daughter-in-law, Mrs. Ora F. ROVELL, Culver, and nieces and nephews. Last rites will be at 2 p.m. Monday at the Easterday-Bonine funeral home in Culver with the Rev. Charles L. HANEY officiating. Burial will be in the Richland Center I.O.O.F. cemetery. Friends may call at the funeral home after noon Sunday. Views from the back porch and back yard area of the former Walker Boat House. 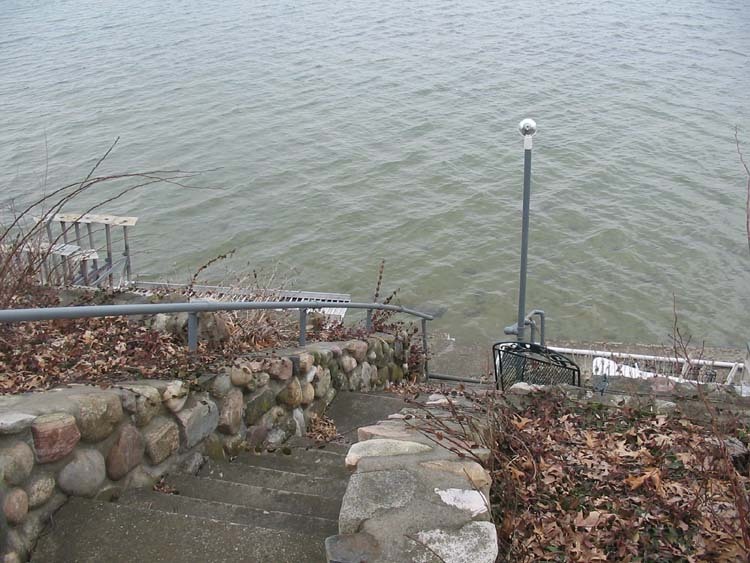 The steps in this photo led down to the pier where the boats were kept docked for rental. The original back doors of the Walker Boat House were kept intact during its restoration and are pictured here. The Walker Boat House as it looks today, in a view from West Shore Drive. Thanks to Ted Schenberg for the use of his photos and information, and Morris Rinesmith for his recollections. 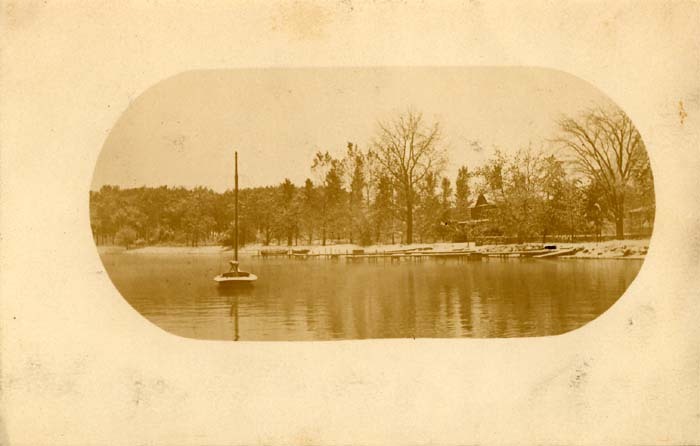 An undated postcard shows the Indiana Boat House. 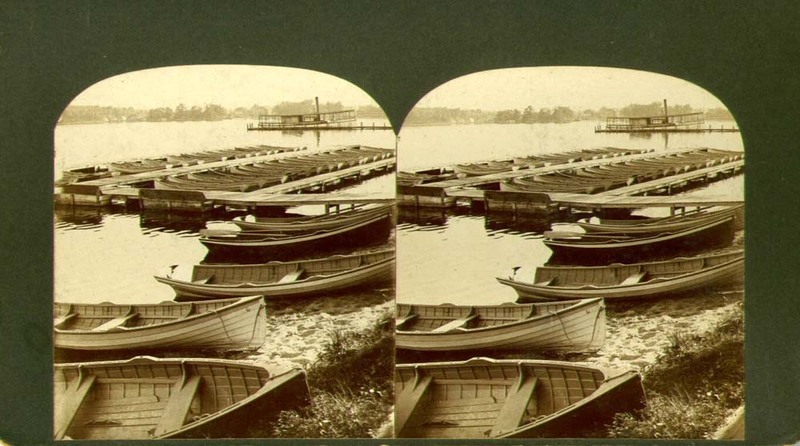 Information on the history of the Boat House would be welcome. 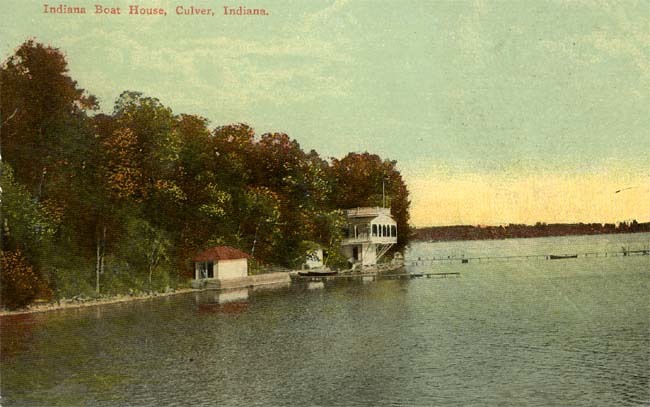 "Indiana Boat House," a 1915 postcard. 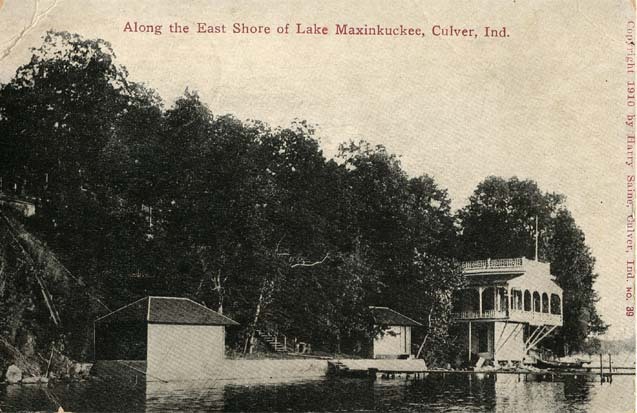 This 1908 "Along the East Shore of Lake Maxinkuckee" postcard depicts the Indiana Boathouse. 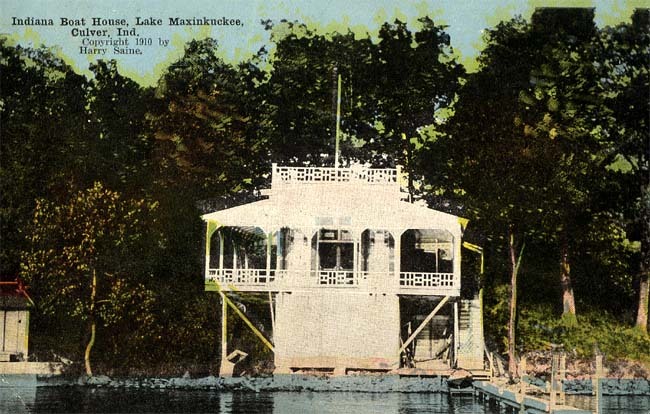 A 1910 colorized postcard depicting the Indiana Boathouse. Black and white version of the same 1910 postcard. 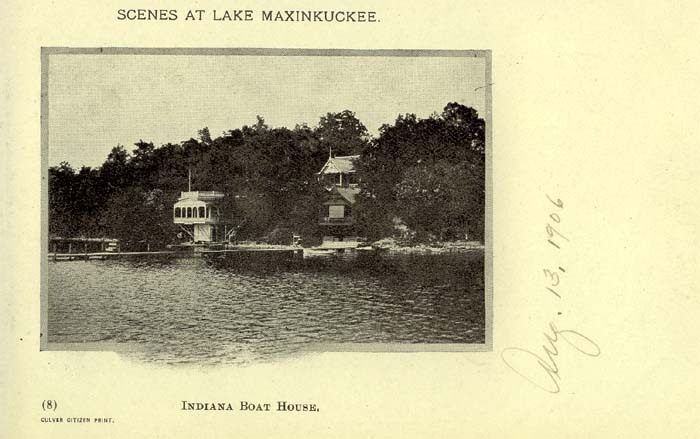 The familiar visage of the Indiana Boathouse, this time on a 1906 postcard. 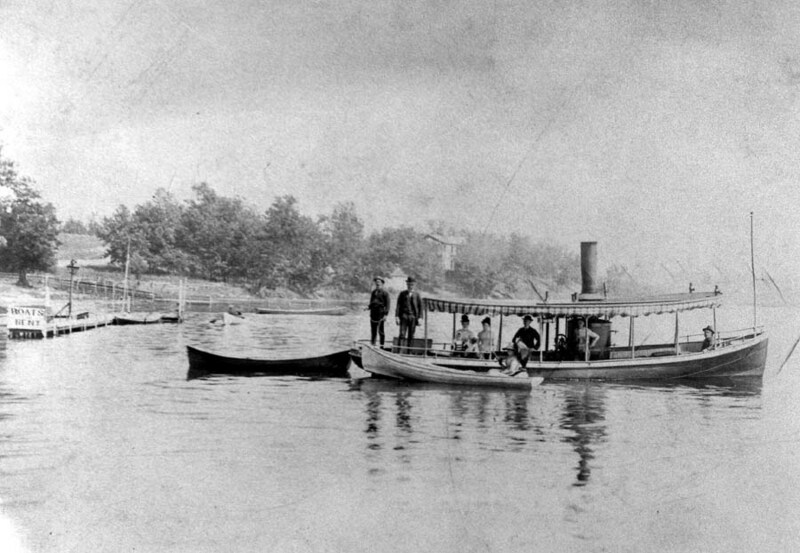 The Mosher Boat House (or Boat Livery, as it was also called), was located near Vandalia Park, presumably east of the Vandalia depot. It seems likely that it was the forerunner of Capt. 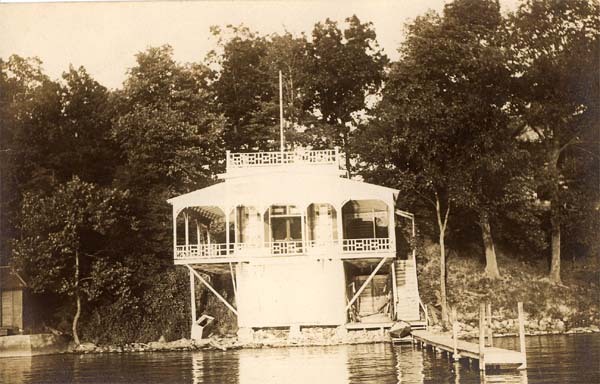 Morris' Boat House, located at the east end of Vandalia Park, before the start of today's "Indian Trails" woods. This image is part of the 1895 Maxinkuckee Agricultural Fair program mentioned earlier on this page. Click here, to explore this rare artifact, lent to the library by Culver's Antiquarian and Historical Society. 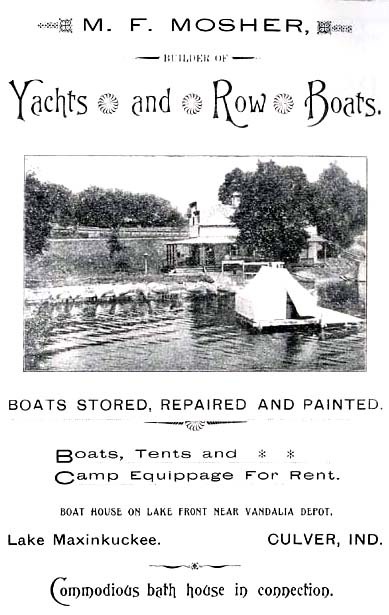 An 1898 advertisement for the Mosher Boat House and its various amenities, including "boats, tents, and camp equippage," and a "commodius bathhouse." A 1910 image of Scots boat house and grounds. 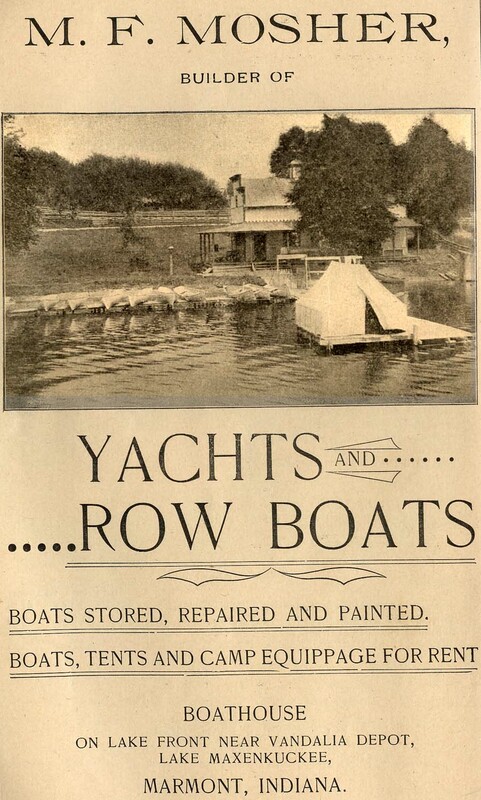 Anyone with information on the location and history of this particular boathouse is encouraged to contact the library.